This is the story of how I managed to learn how to clean an oven without using chemicals, and hopefully this natural oven cleaner might help someone else in a similar pinch. 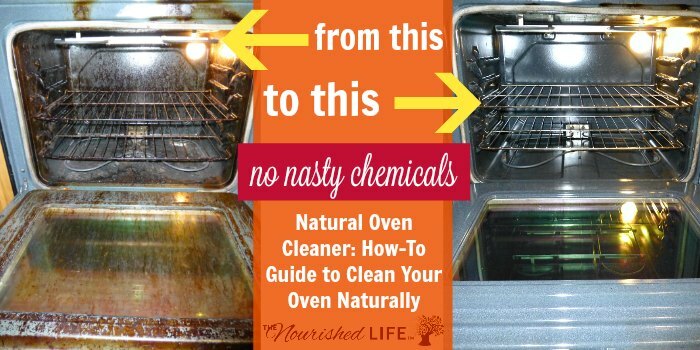 Why do I love natural oven cleaner? Call it a combination of procrastination and the stubborn refusal to use chemical cleaners in my house (I do crazy stuff like use whipped coconut oil for lotion)–and, I’ll admit, a dash of unadulterated laziness. Not to mention I couldn’t really tell someone how to clean an oven if they asked me. So I put it off. And put it off. And as time went on, all that grease and grime kept building up until my oven was downright scary. 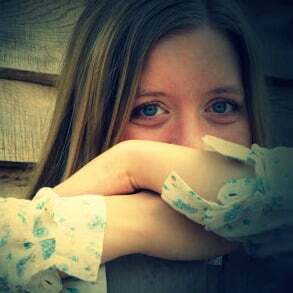 So there I was with a filthy oven, a bad case of procrastination, and more than a little resentment toward Pinterest. But all was not lost. Here’s my natural oven cleaner recipe and tips. Need more DIY natural cleaning product ideas? Check out this list of 31+ Natural Cleaning Recipes or my All-Natural Lemon Vinegar Cleaner Recipe. When it came to doing the dirty work of cleaning my oven, there was one reality I didn’t want to face: a little elbow grease was required. 1) These chemicals don’t always work. Reviewers seem to be split on whether scrubbing was necessary. Some people experienced that mysterious oven cleaning magic, but others definitely did not and had to resort to good old-fashioned physical labor to get their ovens clean. 2) Even if the chemicals do work, it’s not worth the risk to me. I definitely don’t want to fill my kitchen with fumes and chemicals, and then stick my head in the oven so I can breathe in a concentrated dose (at least not without a good gas mask!). And if I probably have to scrub anyway, I might as well use a truly natural oven cleaner rather than expose my family to a bunch of dangerous chemicals. In the end, I faced the fact that I hadn’t cleaned my oven in six long years–some scrubbing would be unavoidable. It was my penalty for serious oven neglect. Luckily, it wasn’t as difficult as I thought. This is not a spray-and-wipe job. A little preparation is required, but it doesn’t have to be complicated. Basically, you want to soak the grime into submission. An overnight soaking is probably your best bet–especially if you have years of baked on grease in your oven (like me!). But for some folks a couple of hours might be enough to do the trick. Some stainless steel scouring pads for scrubbing (so you don’t have to scrub so hard). If your oven is really dirty, you might want to be armed with a small stainless steel scrubbing brush to really get into the cracks and crevices. A good pair of cleaning gloves–you don’t want oven grime in your fingernails, trust me. Like I said, vinegar and baking soda didn’t cut it for my oven. But I wasn’t ready to give up on finding a natural oven cleaner that actually worked (and that was actually natural–a lot of the so-called “green” and “natural” cleaners out there still carry huge warning labels about not letting the stuff touch your skin, which is not exactly my idea of natural!). I was told this cleaner was totally capable of cleaning my oven with absolutely no chemicals. Supposedly it’s some tough stuff. But I had my doubts. Still, since this cleaner doesn’t come with a scary warning label, I decided it was worth a shot. I let it soak overnight to make sure I had a head start on the grime. Yep, that’s six years worth of nasty oven grease literally melting into a pool of goo at the bottom of my oven. Needless to say, I was more than a little impressed. No, I am not going to make crazy claims and say my oven actually looks brand new–it doesn’t. I didn’t clean it for six years and the darn thing did a lot of baking during that time, so it’s not perfect. But I wasn’t looking for a fairytale oven, just a clean one. 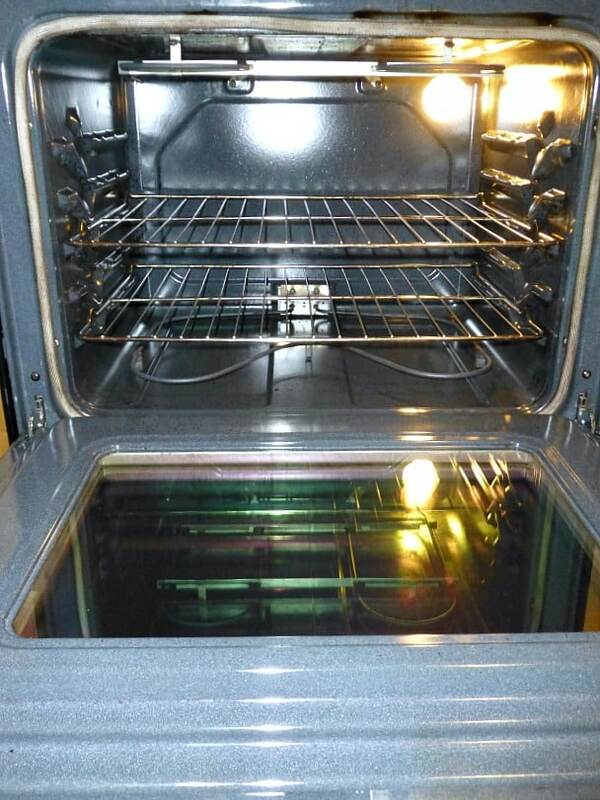 Read below to see exactly how you can clean your oven like I did. 1. Prep it. Remove any big baked on chunks of who-knows-what that might be hanging around the bottom of your oven. Then spray your oven with a 1:1 or 1:2 mixture of Thieves concentrated cleaner. Give it a real good soak (I ended up using a whole 32-oz spray bottle of 1:1 concentration to tackle the six-year-old grime in my oven–you’ll probably be able to get away with a lot less!). 2. Soak it. Let the cleaner sit for at least 2 hours. For really filthy ovens (like mine) an overnight soak is going to help a lot. I sprayed mine down before bed and tackled the scrubbing part the next morning. 3. Get your tools. Have your gloves, scouring pads, cleaning brushes and washcloths ready to go. 4. Put on some tunes. Scrubbing is way more fun with music! 5. Get scrubbing. Time to get to work! Use your scouring pads to get the bulk of the grime, and your steel brush will take care of the sneaky grease stuck in the crevices. 6. Wipe down as needed. All that melted goo makes it tough to see what’s left to be cleaned. Wipe off the excess with a washcloth, rinse it out with warm water, and get back to scrubbing. 7. Intermission. Okay, you’ve been scrubbing for a little while and have got the main part done. But there’s still some tough, baked-on spots. 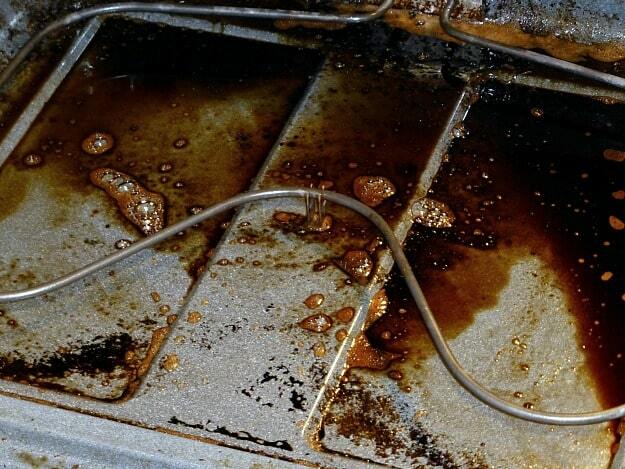 Give your oven one more spray down with your cleaner, and let it sit for 15 minutes while you enjoy a tall glass of iced tea and check your email. 8. Final wipe-down. Scrub any remaining tough spots. Give your oven one last misting with cleaner and wipe it down with a clean washcloth. Everything should be shiny clean! Try this Natural Oven Cleaner idea and then tell me how it worked for you in the comments below! I look forward to hearing from you. I used it for damp dusting, cleaning mirrors, and wiping down windows in a 1:30 dilution. I cleaned my shower, bathroom and kitchen with a 1:5 dilution. I used a 1:5 dilution as a laundry stain remover. can i buy thieves concentrated cleaner in the store. and what store carry it? How do we go about buying “Thieves”, without having to become a member? 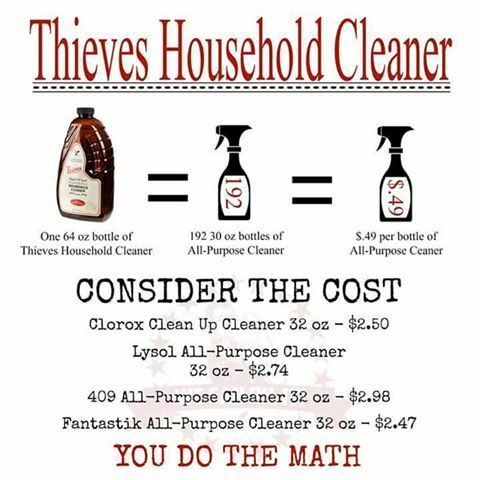 You can order Thieves cleaner as a retail customer as well. You just don’t receive the 24% off discount, but honestly it’s a great deal either way.